This is part 2 of a two-part post. View part 1 here. There’s no chance of boredom on this climb! The 551-step trek to the top of the cupola of St. Peter’s Basilica is one of the most unique climbs on this list. After passing through the security line, locate and follow the Cupola signs which lead you to the right of the main entrance to the basilica. We waited in a 15-minute line before reaching the ticket window (late afternoon in summer), where exact change for your entrance is requested. View current entrance fees for the cupola here. You’ll spiral round and round a variety of stairwells as you make your way up, with breaks for epic interior and exterior views along the way. The first part of the climb will take you to the rooftop terrace of the Basilica where you can use the bathroom and grab a snack if you like. Continuing on, you’ll head back inside to walk around the interior of the cupola’s base. Here you can safely gaze up at the dome’s interior and down on the church visitors below from a gated platform. If you’re claustrophobic at all, I recommend stopping here, but if you’re cool with extremely narrow stairwells and walking with your body at an angle, the next part is super fun! 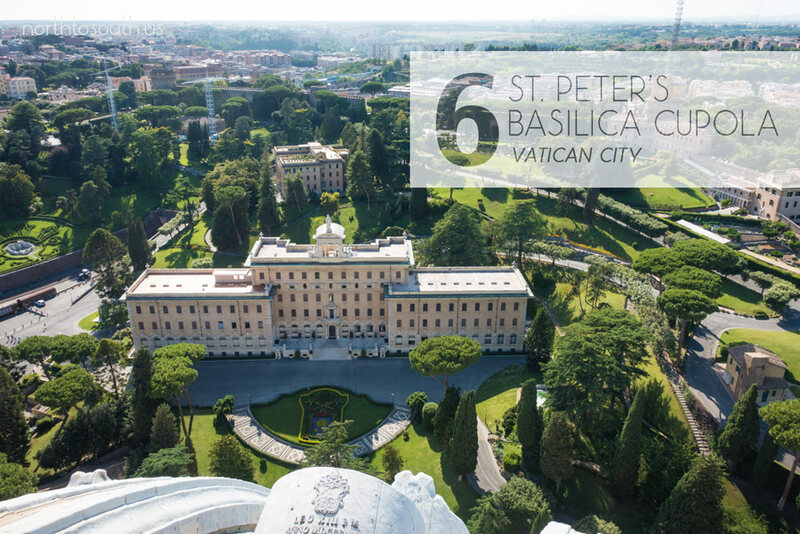 Follow the “Cupola” sign to continue on to the conclusion of this hike, where you’ll enjoy a 360-degree exterior view of St. Peter’s Square and Vatican City from the top of the dome. Bonus: The trek down spits you out right into the Basilica, so there’s no need to wait in another line. Get ready for one of the most beautiful hikes in the whole world! Depending on the direction you’re hiking, each section will take 1.5-2 hours. If you complete both sections (Monterosso –> Vernazza and Vernazza –> Corniglia), it’ll probably take you at least 4 hours, because you’ll want time to walk around each of these three towns and perhaps stop somewhere for a bite to eat. (Focaccia in Vernazza is affordable, quick and delicious!) Since the Blue Trail isn’t free, you’ll actually spend a bit more by walking (€7,50) instead of taking the train (€2-4), but the views between the towns are truly spectacular. You can buy the Cinque Terre Trekking Card in advance at a train station, or you can purchase it at a booth along the trail (with cash). 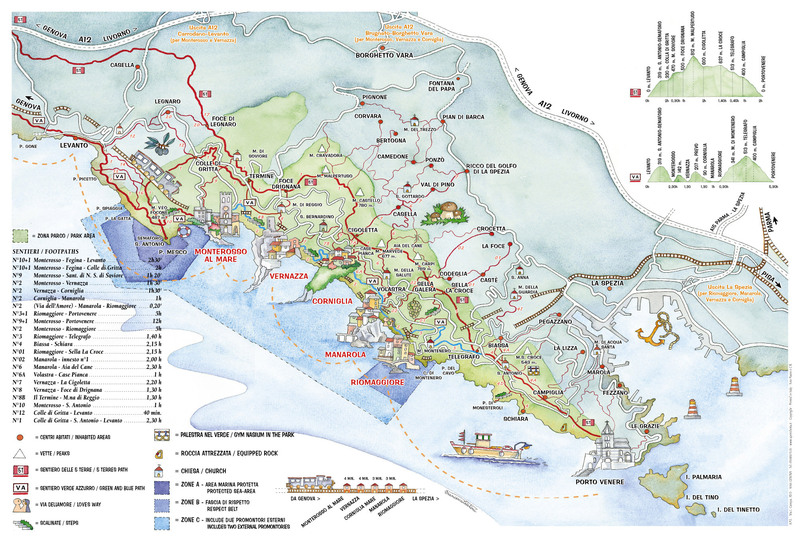 Note that trails are subject to closure if the footpaths become unsafe, so be sure to check the current Cinque Terre trail conditions when planning your trek. The trails are easy to find because hiking is the biggest attraction here, so either grab a trail map from the train station or ask just about anyone where the trail begins. 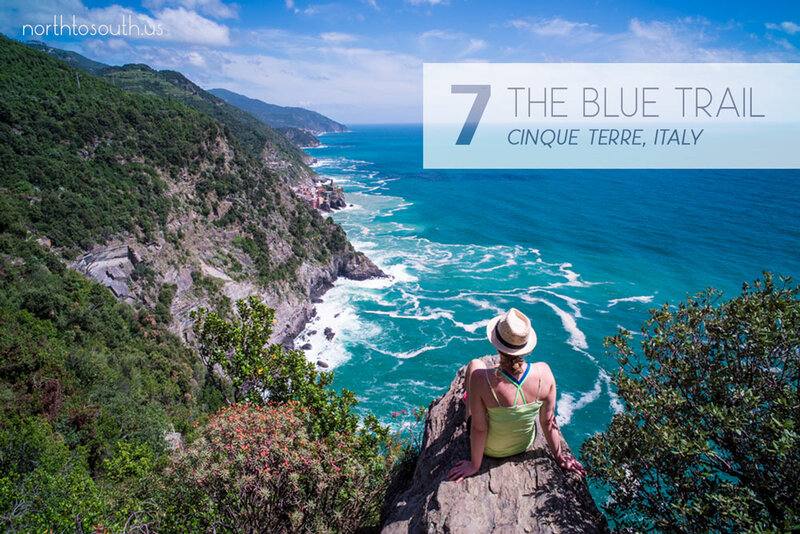 We started our hike from the Monterosso railway station and walked south along the coast toward Vernazza, and eventually on to Corniglia where we stayed in a truly fantastic Airbnb home. (Get $20-$35 off your first Airbnb stay with our link.) Partway through the first trail, we came upon the booth where you’re required to show or purchase your Trekking Pass. The incline is pretty intense at the beginning of each section of the hike, so pack a bottle of water and take your time. Since the hike is difficult enough without carrying extra weight, I recommend taking only a light daypack to carry your essentials. Alternative: You can visit each of the beautiful Cinque Terre town by train, but you’ll find the most spectacular views (like the one shown above) by hiking. We visited the castle in this charming town on a dreary day, but the limited views were still breathtaking. The hike to the castle is extremely short compared to the other items on this list, so you won’t need any specialty hiking gear for this one. We hiked up to Ljubljana Castle from the west. Entrance to the castle is free, but if you want to take the spiral castle stairs to the top of the Viewing Tower (where we took the photo above), you should purchase a ticket. This ticket also gets you entry into various exhibits inside, though some exhibits are free. We enjoyed a marionette and bee exhibit, in addition to a free National Geographic photography exhibit, after climbing the spiral stairs up to the Viewing Tower (see the 360-degree view on Google Maps). 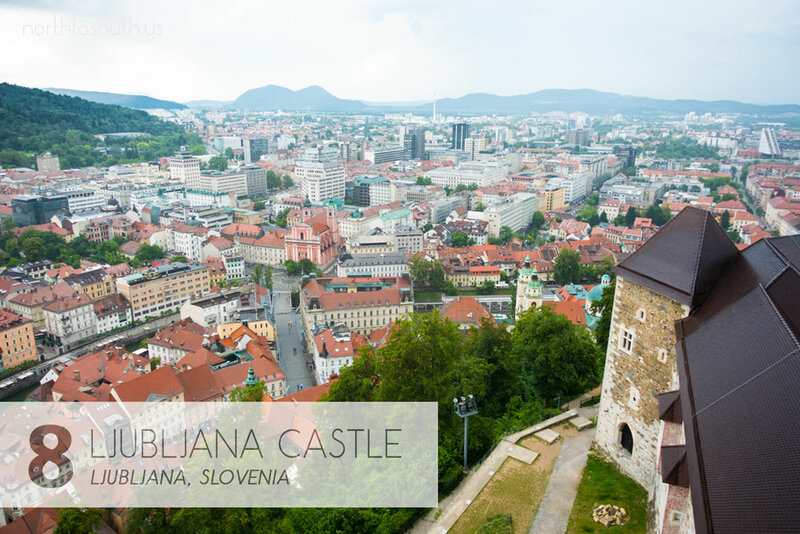 For more info on things to do at the Castle, visit the Ljubljana Castle website. Alternative: You can take a modern glass funicular to the top from the north side of the castle. Since most of the hikes on this list are free, this one is by far the most expensive (120 HRK in 2016), but it’s well worth it as the walk is extremely unique. You’re on top of the wall that runs around the perimeter of Old Town, so you have views of what’s inside and outside the walls. 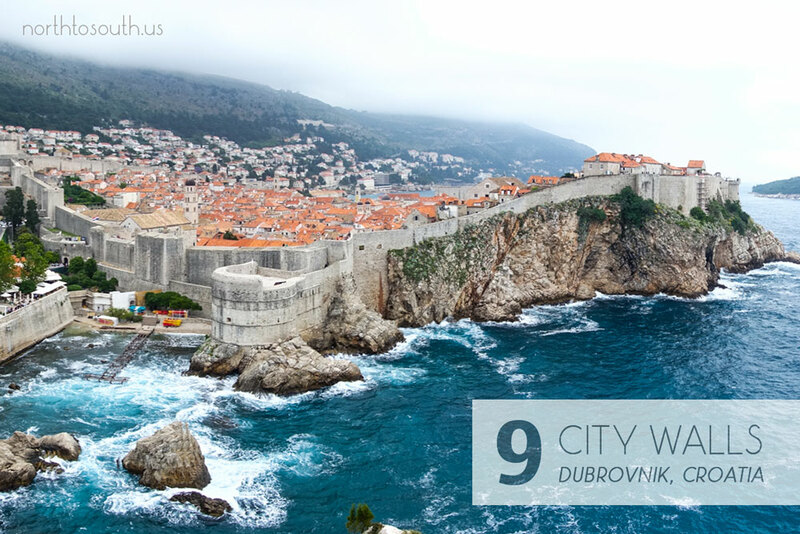 You’ll take in views of some of Europe’s most stunning old architecture, orange rooftops, and deep blue sea, and you will absolutely feel like you’re right in the middle of a Game of Thrones filming set. There are a few places to enter the City Walls footpath, but I recommend starting at the Main Entrance, which is the closest entrance to the Old Town bus stop (look for a sign to the left once you’re inside the Walls). Entrance to Fort Lovrijenac is included with the ticket, so save some energy for a visit after walking the Walls. If you make it all the way around to where you started, the Fort is less than 10 minutes away and takes much less time (10-20 minutes) than the City Walls. Grab lunch between visits to the Walls and the Fort to restore your energy. Alternative: The City Walls are accessible by foot only, but you can take a cable car up the hillside for a breathtaking view of all of Old Town (also accessible via switchback footpath). Salzburg is one of my favorite cities in all of Europe, and the cliffside space outside the Museum der Moderne, near M32 restaurant, is one of the best places to admire it. Salzburg’s got a lovely mix of calm city, green space, and mountain views, making it a uniquely lovely place to hike. For a heart-pumping tour with lovely views of Salzburg and its surrounding hills, I recommend beginning your trek up the hill at the castle lift (Festungsbahn) station and ticket office in the city. Beginning outside the ticket office, walk uphill. It takes about 20 minutes to reach the castle by foot along Festungsgasse. If you want to visit the castle (entrance fees here), this will be a good time to do it, but we opted to skip it and walked past the castle to continue our hike. Signs along the way will point you toward M32 (a restaurant at the Museum); you’ll be following this general route, which includes a short detour to get a killer view of the hills to the west from within the fortress walls. Despite the short time estimate on Google Maps, it took us about an hour to reach the Museum der Moderne. And don’t forget to watch The Sound of Music before/after your visit! 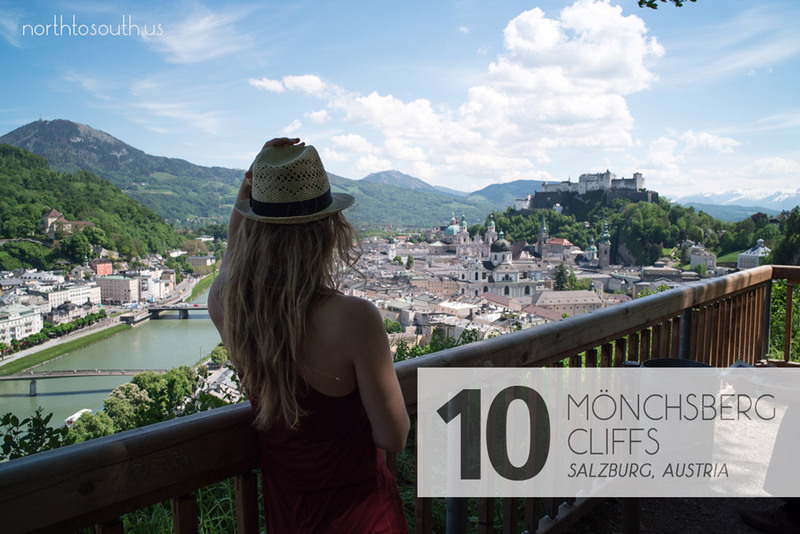 In case you missed it, the first viewpoint on this list is just an hour outside of Salzburg! Alternative: Take the funicular (Festungsbahn) up to Hohensalzburg Castle (lift ticket included with €12,00 castle admission) to cut out the 20-minute ascent. View more of our Europe posts for more tips and ideas for planning your Europe trip.